‘Après Mira’ mixed media collage 2013. I made this piece after visiting the Mira Schendel exhibition at the Tate modern. 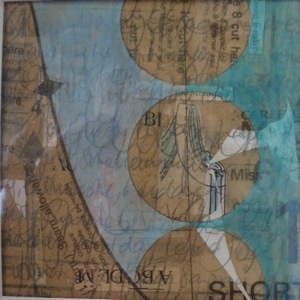 I layered old dress making patterns, adding handwritten and dry transfer text in between the transparent collage layers. This entry was posted in Uncategorized and tagged art, artists, ceramics, collage, craft, dress making, handmade, layers, mixed media, text. Bookmark the permalink. It’s lovely Rachel, and my favorite colours too!